Hi! I have a problem with my new iPhone. Actually I've purchased an iPhone 8 recently which is running iOS 12 and was trying to get my WhatsApp stuff in it yesterday. But I have no clue why WhatsApp couldn't restore chat history from iCloud. What to do? Please help if you could! Thanks! 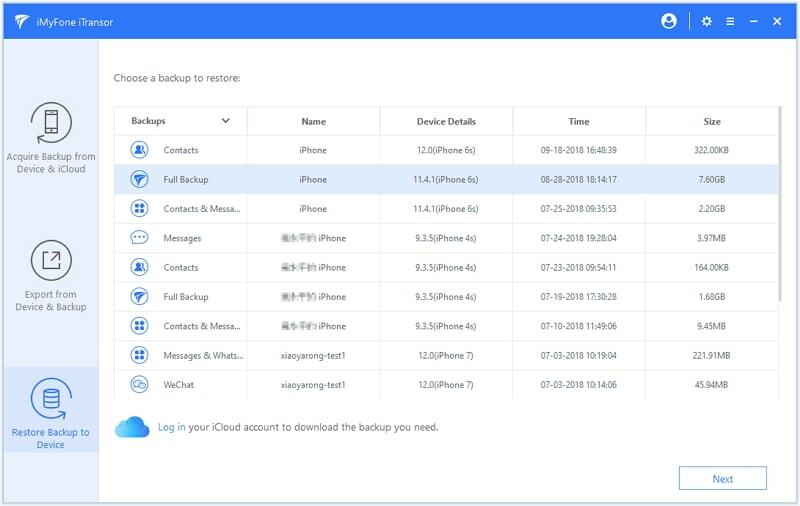 Most iPhone users prefer iCloud for WhatsApp backup since we don't have to bother about connecting our device and moreover, we can do it anywhere. 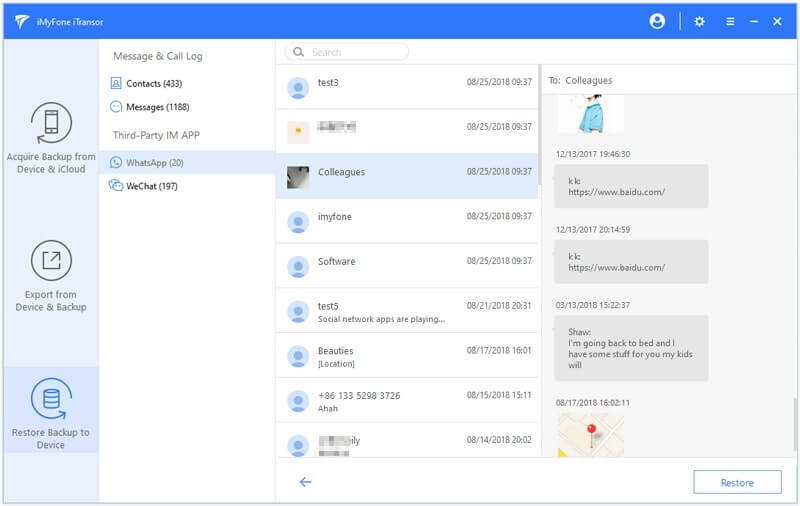 However, when it comes to restore those chats, some users find difficulty in completion of the process and get nervous. If you are one of those, we would tell you here what you can do when WhatsApp fails to restore chat history from iCloud. Start reading and follow the tips below which also works for iOS 12. The primary thing you need to make sure when WhatsApp restore from iCloud fails is examining your network connection. Ensure that your Wi-Fi is running perfectly and you're in its range. Also, try rebooting your router – plug it off, wait for 10-20 seconds and then turn it back on. As a bonus, we would like to recommend you dropping the cellular data idea and switch to a more stable Wi-Fi connection instead. Not enough storage in the device can be the reason why WhatsApp restore from iCloud fails and this is what our next suggestion is. Check if your iPhone is having enough space. If the space is less than WhatsApp backup, WhatsApp will always show a 'couldn't restore' error. 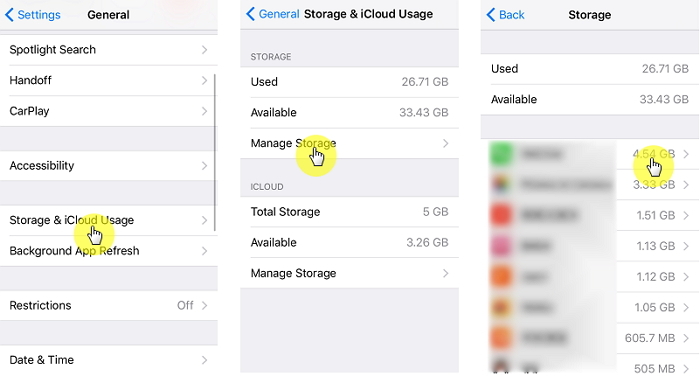 Therefore, go to 'Settings' > 'General' > 'iPhone Storage' and check the used storage. Delete unnecessary files and make space for a smoother restore process. Maybe WhatsApp is not successfully restoring chat history because you've not entered the same credentials as in the previous phone. Please confirm that you've not used a different phone number. If yes, change it with the previous number as well as use the same iCloud ID. Do this and see if the problem is vanished or not. If you were trying to restore WhatsApp and it failed to restore chat history from iCloud again, try to force restart your iPhone. The steps for different models are given below. Follow them accordingly. iPhone 6 or earlier: Keep pressing 'Power' and 'Home' buttons simultaneously until you observe the Apple logo coming on the screen. 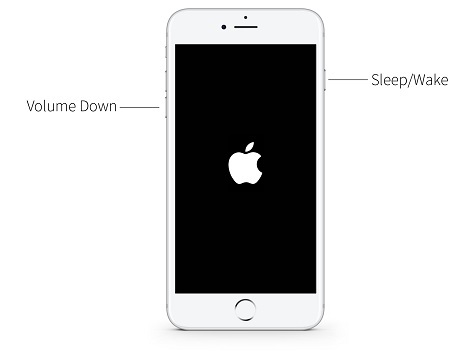 iPhone 7/7 Plus: Press the 'Volume Down' and 'Power' buttons together. 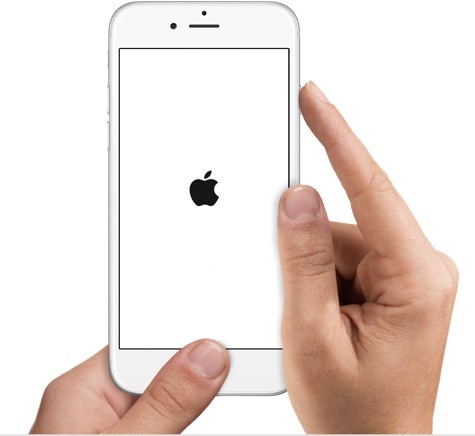 Keep doing this and release when Apple logo appears on the screen. 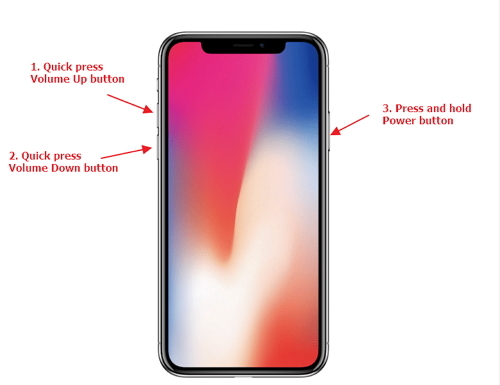 iPhone 8/8 Plus/X: Press 'Volume Up' button and release instantly. Do the same with 'Volume Down' button now. Now, hold down 'Power' button until Apple logo comes into sight. Following the above method, if still "Couldn't Restore Chat History" error occurs when you are trying to restore WhatsApp messages from iCloud, please check the iOS version. This is important because backup and restoring can only be done on same iOS. For instance, if you made WhatsApp backup in a device that was running iOS 11, that backup will not be able to restore on a device running iOS version above or below. 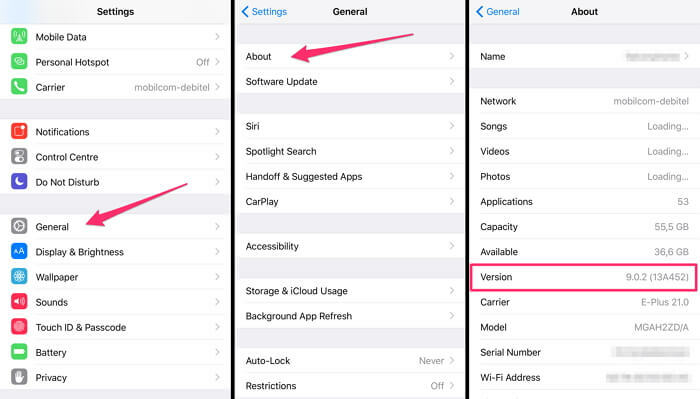 Therefore, check what iOS version your device is running and update (or downgrade) it suitably. When WhatsApp restoring from iCloud is not working, using a third-party tool can be a good option. In that case, iMyFone iTransor (iOS 12 supported) is your saviour that helps you to selectively restore iPhone from iTunes or iCloud backup. This tool is one of the best alternatives to iTunes or iCloud since it allows the users to decide if they want fully restore iPhone or merely restore an individual app or some apps. 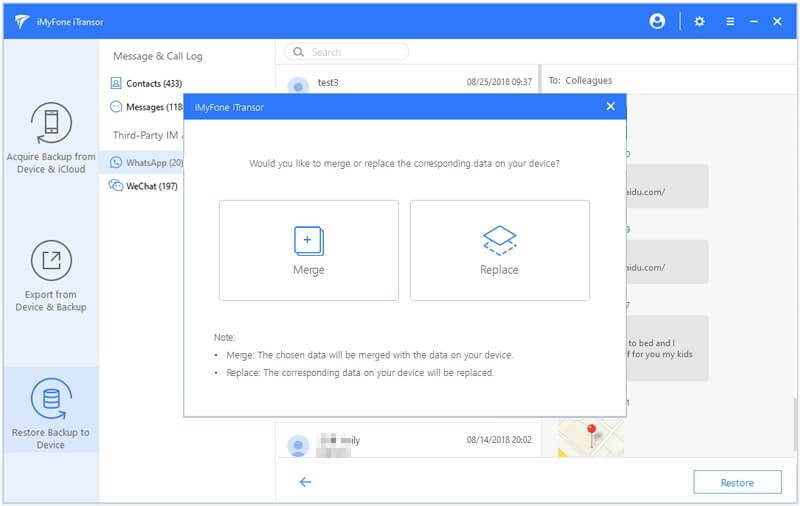 The data in your backup files can be merged with the current data on your device. Besides, you can also use it to selectively backup iPhone and export data from your device or iTunes/iCloud backup. We're now going to provide the step-by-step guide to restore WhatsApp from backup using this tool. Please make sure that you've taken a backup of your WhatsApp using iTunes or iCloud earlier. Step 1: Download iMyFone iTransor and open up in your PC. 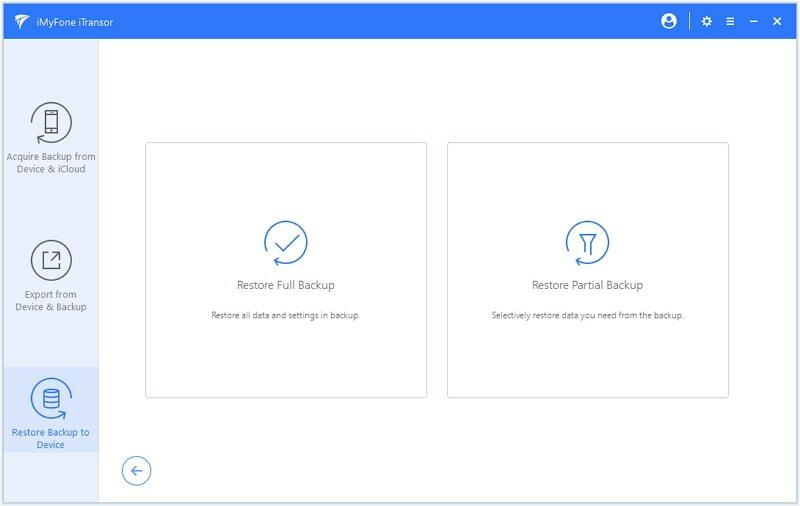 Connect your device and click 'Restore Backup to Device'. Choose one iTunes backup file from the list of backups. Click on 'Next' and then select the 'Restore Partial Backup' option from the 2 options offered on screen. Step 2: You will be asked to select the data type. Choose 'WhatsApp' from there and click on 'Preview & Restore' or 'Directly Restore' according to your needs. If you want to preview the WhatsApp messages before restoring, click 'Preview & Restore'. Then the program will scan your backup and display the WhatsApp chats for you. Step 3: Now you can click 'Restore'. Before restoring, you can choose to 'Merge' or 'Replace' the data on your device. It all up to you. Once you click one of the buttons, your WhatsApp data will be restored to your iPhone soon. iTransor can do it in a short time. Remember it also supports iOS12. Another possible reason could be hardware issue when WhatsApp chat history won't restore from iCloud. 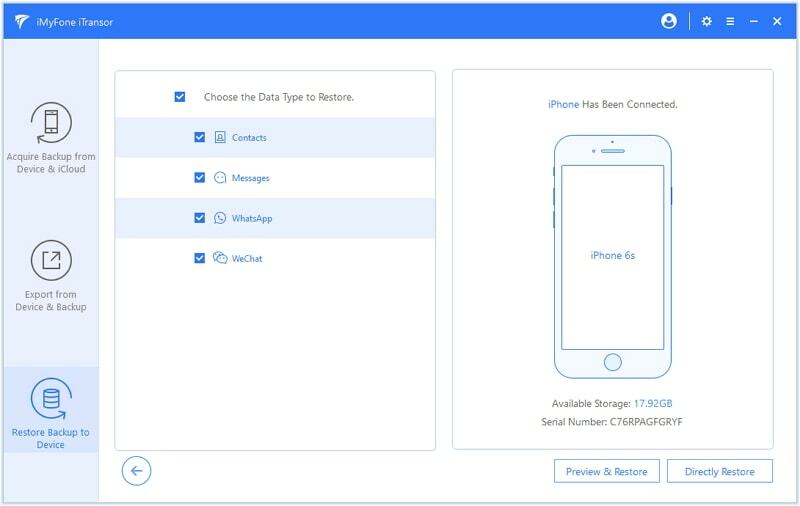 Supposing you have purchased a brand new iPhone, if you will try to restore your WhatsApp chat history from iCloud, there is a chance that restoring will not supported. This is because the newest iPhone's hardware might have gone through some modifications and therefore making the backup incompatible with this new hardware. Hence, if WhatsApp couldn't restore chat history from iCloud, hardware could be the culprit.